Mayim Bialik at San Diego Comic-Con on Friday. 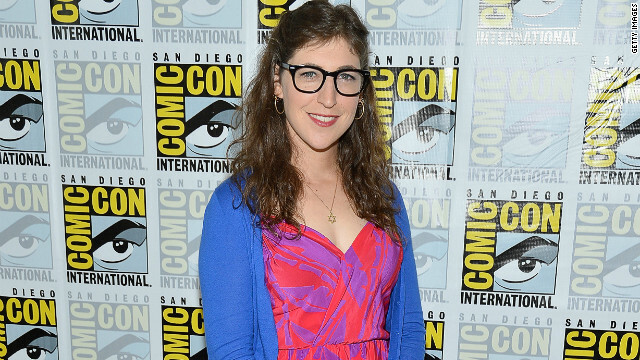 "Big Bang Theory" actress Mayim Bialik finds it interesting that she was seated on the far end of the show's San Diego Comic-Con panel last Friday, next to the producers. "It's my best kept secret," she joked to reporters a few hours later. "I belong much more with them." As a neuroscientist, she feels a kinship with the brains behind the machine, as well as a connection with many of those who attend fan conventions. “I love our cast and I love actors, but I also love comic books and sci-fi," she said, "so I am the one [on the cast] who is most 'Comic-Con friendly.'" Anna Torv at San Diego Comic-Con on Sunday. "Fringe" has taken so many twists and turns over four years, it's anybody's guess how the series will end for good this season. One thing's for sure: we'll glimpse more of the future. "Last season, we got a taste of what to expect," "Fringe" star Anna Torv told CNN Geek Out. "2036, here we come!" We briefly met Peter and Olivia's grown-up child in 2036. What did Aussie Torv think of her TV daughter? “She’s really sweet. And she’s Australian, so that totally works." Of course, it's bittersweet when any show is coming to an end, and it becomes all the more real when there's a final San Diego Comic-Con panel to see it off. But Torv is looking on the bright side. "We’re fortunate that we can end the show knowing that we’re ending the show," she said. "Our writers are going to be able to do it justice, serving the viewers and serving us as well, because we’ve put a lot in. And we can make it count, knowing we can finish the game." 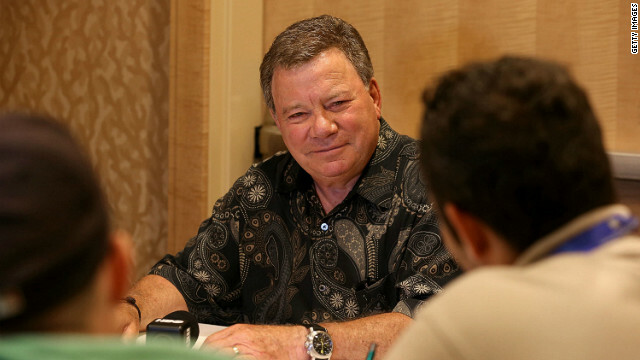 William Shatner at San Diego Comic-Con on Saturday. In 1969, William Shatner thought his iconic show's run was over. “I finished ‘Star Trek’ late one night and everybody said goodbye and off I went, saying, ‘That’s the end of that show.' It was just a good show and that was the end of it." Little did he know that the fans had other ideas; they wouldn't let the show fade into obscurity. "Star Trek" conventions began in earnest. As the years went by, Shatner wondered what motivated these fans to go to conventions year after year, so he embarked on a sociological, anthropological study of "Star Trek" fandom that became a book and then a film called "Get a Life!" The works are based on a famous "Saturday Night Live" sketch in which Shatner went off on a tirade against "Star Trek" fans. The documentary is set to premiere on Epix on July 28. Joss Whedon at Entertainment Weekly's Comic-Con party on Saturday. 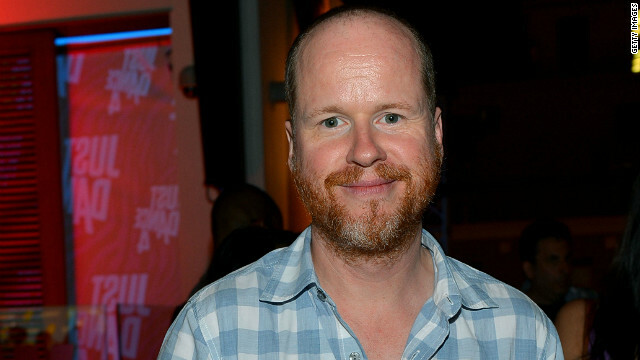 What’s next for Joss Whedon? After directing the most successful movie of the year – not to mention the third most successful movie of all time – where does one go next? In Joss Whedon's case, it's not Walt Disney World, but San Diego Comic-Con, where he was ubiquitous this year. Whedon hit up the parties (social media lit up with tales about his dancing prowess) and spoke on several panels, even getting mentioned In a panel for the web series "Husbands," on which he will guest star. Whedon was a perennial presence at the mega-convention, hyping TV’s "Buffy the Vampire Slayer" and "Firefly," among others, for many years prior to his box office success. Whedon wasn't at the convention to tout the success of "The Avengers," though. 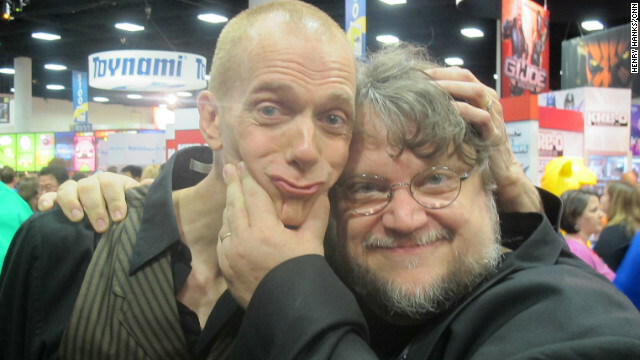 His first panel celebrated the 10th anniversary of "Firefly," – in conjunction with an upcoming special on the Science Channel – and his second was to discuss the continuing adventures of "Buffy" in comic book form. Lately, though, Whedon has been pondering his post-"Avengers" plans. “I’ve just been trying to be with my family and trying to figure out who I am and what to do next," he told CNN Geek Out at Comic-Con. "It’s kind of an exciting time right now but it’s an exciting time of me waiting to make sure I don’t get so excited that I do the wrong thing."